Watching the gray, pitching ocean from the beach in Barrow, Alaska, Carin Ashjian, a biologist at Woods Hole Oceanographic Institution (WHOI), wonders if the seas are too rough for the Annika Marie, the 43-foot boat she and her colleagues will use to conduct their research. The late August weather hasn’t been good, and they have only this week and next to gather the information they need. Ashjian and a team of researchers from several institutions have come to Barrow ahead of the annual migration of bowhead whales. Whales need food—a lot of it. They eat zooplankton (little marine animals called copepods and krill), which the whales scoop up and strain from seawater with their baleen plates. In late summer, multitudes of plankton may aggregate in dense swaths in the coastal waters off Barrow. Sunlight, currents, nutrients, winds, sea ice, water temperature and salinity, topography on land and on the seafloor, and other factors all conjoin in the right ways at the right time in the right place to spur the growth of tiny marine plants (phytoplankton) that feed the zooplankton that feed the whales. Ashjian’s mission is to sort out the oceanographic and biological conditions that sustain this fertile Arctic food web. Driving all the research is a larger question: What will happen if climate change shifts oceanic conditions in the Arctic, as appears to be happening? Will the delicately balanced ecosystem change? Will the whales continue to come to Barrow’s coastal waters? The researchers’ presence in these waters has to be carefully timed. They want to be there when conditions are right to see plankton aggregations form, but they must leave when the whales arrive, to avoid disturbing them. If weather conditions don’t change, the researchers will have to wait a full year to catch the right season again. Every day here counts. 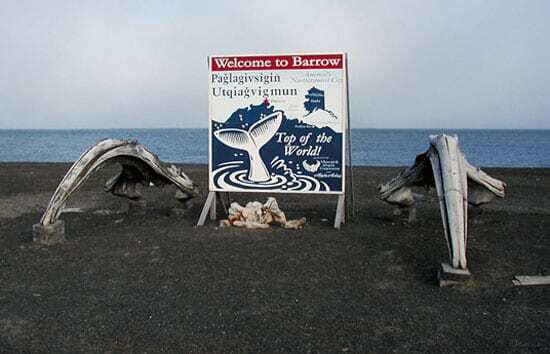 Barrow, the northernmost town in the United States, sits northwest of the Bering Strait, where water flowing north between Siberia and Alaska curls into the Arctic Ocean. Bowhead whales have migrated past Barrow from time out of memory in a continuing rhythm. In the spring, they swim north through the Bering Strait to feed all summer in copepod-rich Arctic Ocean waters. In the fall, they reverse their track, lingering near Barrow to feed on zooplankton before heading back to less icy waters in the Bering Sea. For centuries the Iñupiat people who live on the North Slope of Alaska have kept the same rhythms. Unlimited whaling devastated the bowhead population, but the stock recovered after commercial whaling ceased. The Iñupiat villages now hunt again, taking a limited number of whales annually, through the Alaska Eskimo Whaling Commission and with quotas set by the International Whaling Commission. Now, a new threat may come from climate change. In our lifetime, the Arctic is changing—warming faster than any other part of the planet. Parts of the ice pack that were 20 feet (6 meters) thick now span only an arm’s length. Melting permafrost is softening the tundra. Polar bears have drowned for lack of ice to stand on. In Barrow, Ashjian sees the changes with her own eyes. In September, when there should be snow, there is rain. Roads, once frozen, are muddy tracks. Where there should be pack ice, there is open water, sometimes stranding bears in town. “Coastal erosion is a huge problem now,” she said, because shorelines that used to be protected by ice are now exposed to waves and storms. No one knows what will happen to the patches of copepods and krill with continued warming. They could disappear. Ashjian is principal investigator of this National Science Foundation-funded project, which is part of an even larger program called SNACS (Study of the Northern Alaskan Coastal System). She is joined by more than a dozen scientists from several scientific fields, all examining the strands that weave together to create the tapestry that is the coastal ecosystem. 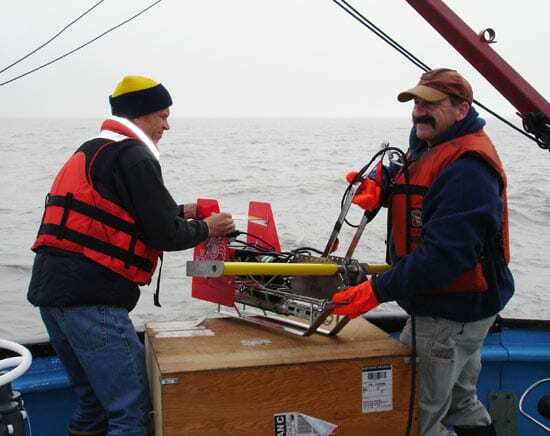 Ashjian’s team used nets to sample plankton; instruments called CTDs to measure water temperatures, salinities, and depth; and a variety of sensors, including backscatter sensors to measure particles and fluorometers to measure amounts of plant pigment in the water. Other researchers examined the Iñupiat subsistence hunting culture and whale migration and feeding behavior. 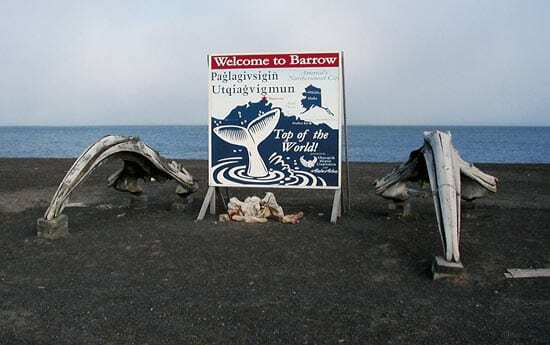 Before this summer’s trip, there was planning and coordination to be done with town officials, other research groups working in the area, and the Barrow Whaling Captains Association. During the summer, there was rough weather. Howling wind and high seas kept the team landlocked for days, unable to gather data and fearing they would miss the aggregation of plankton. But in the end, they were able to sample on 16 days during the month and brought away a wealth of oceanographic measurements. 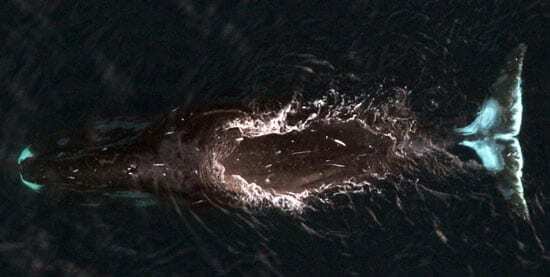 Aerial surveys had just begun to locate the returning bowhead whales, right on schedule. 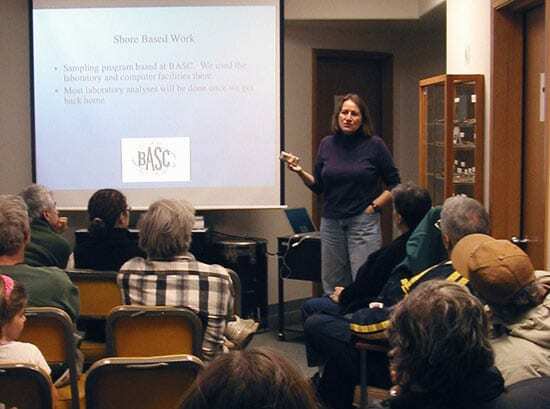 In January 2006, Ashjian was invited to speak to the Barrow Whaling Captains Association, which is considered an honor. This group conducts its meetings in Iñupiat, though all speak English. Ashjian attended while other business was conducted in Iñupiat and then presented an update on the research and answered questions in English. So, she and her team will return to Barrow in the summer of 2006 to continue unraveling the intricacies of the remarkable Arctic coastal ocean ecosystem and working toward predicting its future. Researchers on Ashjian’s project, “Environmental variability, bowhead whale distributions, and Inuupiat subsistence whaling—whaling linkages and resilience of an Alaskan coastal system,” include: Carin Ashjian and Phil Alatalo (Woods Hole Oceanographic Institution Biology Department); Robert Campbell (University of Rhode Island Graduate School of Oceanography); Jack Kruse and Craig Nicholson (University of Massachusetts Department of Natural Resources and Conservation); Barry and Evelyn Sherr and Yvette Spitz (Oregon State University College of Oceanic and Atmospheric Sciences); Sue Moore (National Oceanic and Atmospheric Administration and University of Washington Applied Physics Laboratory); Wieslaw Maslowski (Naval Postgraduate School Department of Oceanography,); Stephen Okkonen (University of Alaska Fairbanks Institute of Marine Science), Stephen Braund (Stephen Braund and Associates, Anchorage), Craig George (North Slope Borough Department of Wildlife Management), Aaron Hartz (Oregon State University), and Jeff Manker (Gilroy High School, Calif.).